One-hundred-and-twenty-one years after the birth of E.E. Cummings, and the crude complex is just like one of his poems – undecided about where it is going next. The crude complex is left weighing up another overnight delivery of bearish-tilted news, but hanging in there after already seeing considerable downside this week thus far. Onto Europe, and Eurozone industrial production came in at consensus of -0.5 percent MoM, but the YoY number was well below expectations at +0.9 percent. French inflation was up +0.1 percent year-on-year in September while Italy was up +0.2 percent; Spain continued along a deflationary path at -0.9 percent. The UK provided the bright spot for Euro-centric data, as unemployment surprisingly dropped to its lowest level since mid-2008 at 5.4 percent. An interesting story yesterday touched on a topic which is most near and dear to our hearts here at ClipperData: shipping. 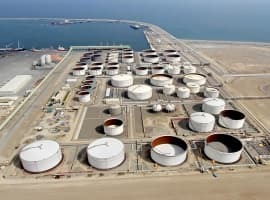 For yesterday’s IEA oil market report highlighted that oil at trading hubs in Europe and Asia is being stored on ships, even though the economics don’t seem to justify this move. This endorses our affirmations yesterday about the supertanker traffic jam in Asia, and highlights the potential worst case scenario that we too have considered recently: that storage tanks around the world could be getting full. The monthly EIA Drilling Productivity Report came out yesterday, and once again Eagle Ford was the biggest loser. 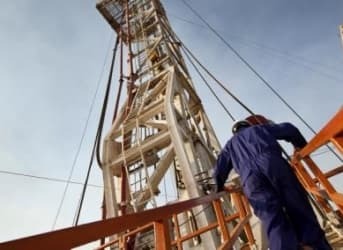 EIA predicts that oil production from the Eagle Ford is going to drop by another 71,000 barrels per day in November, down to 1.33 mn bpd – hark, down 21 percent since the peak at 1.73 mn bpd in March of this year. All the while, the Permian Basin is yet to see production drop, with flows projected to reach 2.03 mn bpd next month. In terms of natural gas production, the Marcellus shale is expected to contract by 0.215 Bcf/d in November to 15.9 Bcf/d. Production is not only down from its peak of 16.5 Bcf/d in April, but this projection would be its biggest monthly drop since March 2014. That said, as pipeline takeaway capacity of 2 Bcf/d comes online in the coming months, demand for more Marcellus gas will help production to rebound. Related: Can The Oil Industry Really Handle This Much Debt? Canadian Utilities Embarking On Asset Acquisition Strategy In U.S.